I've been wanting to try balm stains for a while, since Revlon released theirs actually but for myself, I can't justify $9 on something I'll wear a few times and probably forget about. Wandering through Walgreens one night because I was on the hunt for their Spring Collection, after 5 DIFFERENT stores, I pretty much have given up hope for now, so I decided to pick up a couple of things, a 5 pan palette which I've already reviewed HERE and this MegaSlicks Balm Stain. I mean it was only $3 plus it had a $1 off coupon, so you can't really go wrong there! is a light cool-toned frosty pink. Why a pink, let a long a frosty pink? Well, I don't really have any light lip colors. They're all bright pink (thanks ipsy), red (thanks self) or other random colors (thanks other people). Plus, I wanted something that was light, that wouldn't draw too much attention too itself. 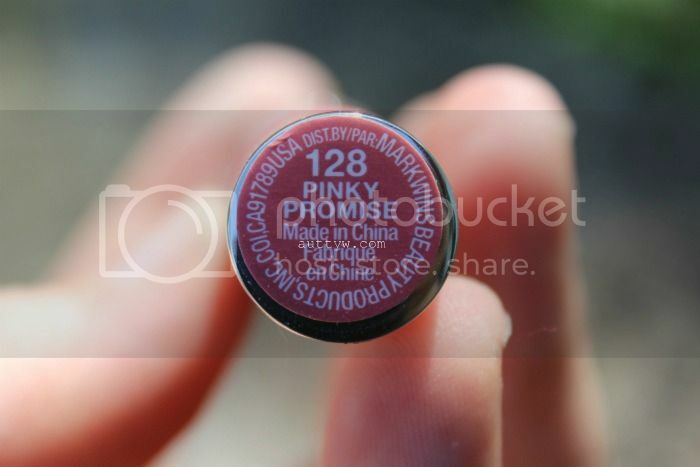 Pinky Promise is definitely one of those, my lip color but better kind of deals. Let me tell you, I was expecting to be VERY unimpressed with this, but I was extremely impressed. I mean hello! How gorgeous is this?! Enough of me chatting about the color. Let's talk about the product itself. For $2.99 you get 3g of product. Which if you think about it, is very generous for the price. 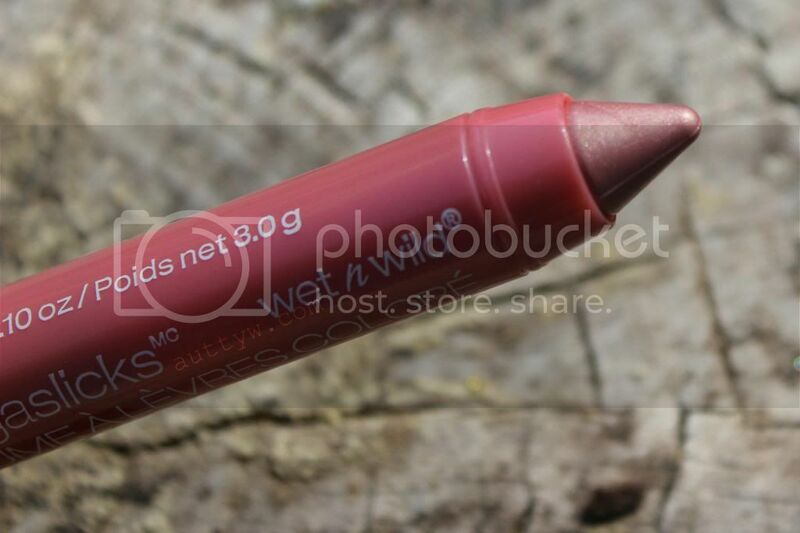 The product goes on very smooth and is very pigmented, it pretty much just glides on your lips like buttah. As for wear time, for me I am ALWAYS rubbing my lips together when there's something on it and it does wear it down after a while, I can get an hour or two of color, but this is so moisturizing that it's insane! I have lip balms that aren't as moisturizing as this is! So yeah, I definitely want more! It also lightly stains your lips and considering it is a balm stain that's a good thing. For $2.99 this product is an absolute steal! I highly recommend it and I plan on getting more from the MegaSlicks Balm Stain family! They're pretty dang amazing! Wet n Wild has redeemed themselves from the disappointment that I felt over that 5 pan palette. Purchased this MYSELF with my OWN money. All opinions are my own. Looks like such a natural everyday lip color on you. I'm usually not a fan of frosty shades but this looks so good on you! This is so pretty, and I'm shocked to hear that the formula is so good. After some of their recent bummers I was expecting this to be a dud!! I was really shocked as well! It's very pretty in person and I just can't believe how bloody amazing it was! I'm excited to get more! Very pretty! Wet N Wild can be so hit or miss but when they hit, they knock it out of the park! That's a lovely color. 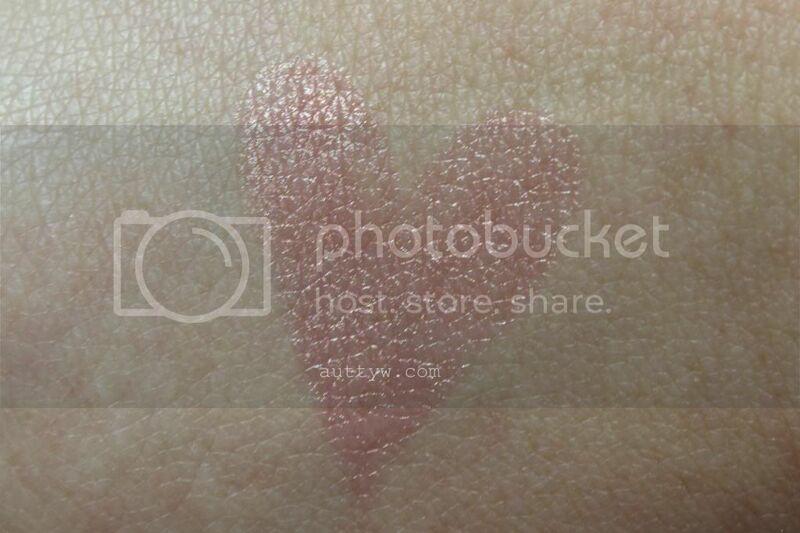 I love the swatch heart you did too, hehe. I agree there! I'm so glad this was a hit! I hate feeling like I wasted money! This is really pretty, and it looks great with your lip color. Definitely a steal at $2.99!